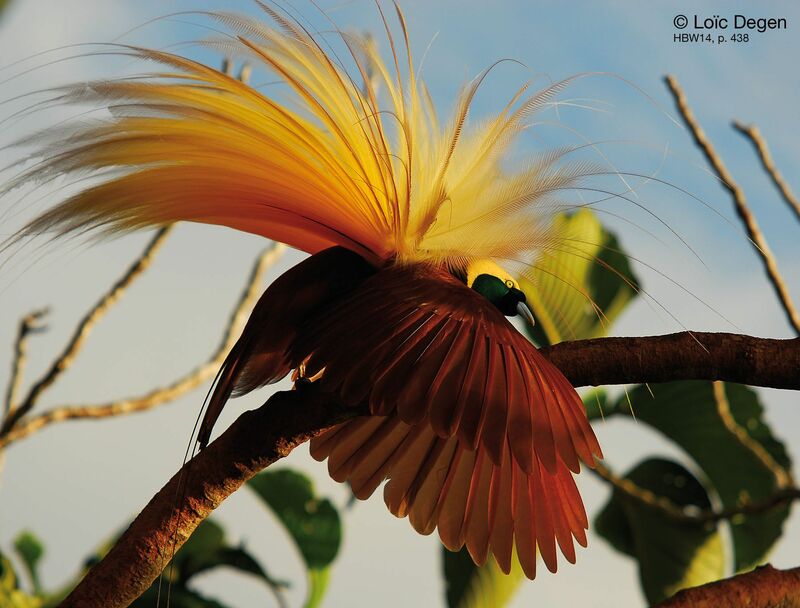 Greater Bird of Paradise, New Guinea. Morning Everyone….. Coffee is ready, Water is hot for Tea. Hey it’s Friday………..
Good morning, Col. Ken! Thank you for the coffee! Happy Friday! Good morning Colonel Ken. Fresh blueberry smoothie coming right up for you, sir. Morning Nyet! Happy Friday! Thank you for the donuts! Mornin’ all ya’ll! I had a biscuit earlier, but think I’ll have second breakfast (Hobbit habit) with the rest of the plate. It’s hard to laugh at this one. Mornin’ WeeWeed! Evening Wee ! Ain’t it pretty to see own team picking up the molotov cocktails and throwing them back in the faces of our enemies? "There are five states with our own or very close candidates for local offices: AZ, TX, MO, IL, CT."
And the Rats will play with powers they’ll be unable to control once they gain a foothold. I posted what I think is happening below. Ive been playing a silly song every morning for kiddo. This is a really good one! Like I said, I love the extravagant birds & their mating dances. President Trump will appear on CBS’s “60 Minutes” this Sunday, according to a Thursday night CNN report. The interview, which was reportedly taped on Thursday at the White House, will be conducted by the show’s longtime correspondent Lesley Stahl. The program’s camera crews were spotted leaving the White House on Thursday afternoon by Fox News White House correspondent John Roberts. Well the Archbishop in NOLA has said the Church is compiling a list of known-to-the-Church child molesters/accused child molesters who WORK FOR THE CHURCH and will release it to the public. I can’t see how the Archbishop can possibly not see how this is placing the Church straight into the path of an onrushing liability freight train. By the time this sorts out the St Louis cathedral in Jackson Square is going to be a beignet stand with proceeds going to litigants and their lawyers. This woman should be ashamed of herself. The school obviously thinks she violated the trust between a teacher and students. I sure wouldn’t want an active teacher deriding former students like this. A California school district has reassigned a teacher who said Trump aide Stephen Miller would eat glue off his arm when he was in her third grade classroom. Nikki Fiske is a teacher in the Santa Monica-Malibu Unified School District. In a piece in The Hollywood Reporter, she said that when Miller was 8, he would pour glue on his arm, wait for it to dry, peel it off and eat it. A district spokesman told CNN it is reviewing the incident but that Fiske has been reassigned. “The Santa Monica-Malibu Unified School District is looking into this matter and has placed Nikki Fiske on home assignment pending the completion of the review,” district spokesman Gail Pinsker said in an emailed statement Friday. CNN’s efforts to reach Fiske have gone unanswered. Miller has been a part of Donald Trump’s team since January 2016, consistently accompanying the President at rallies and playing a crucial role in the administration’s immigration policies. Correction: A previous L.A. Times story posted at this link incorrectly stated the teacher was suspended; the school district says she is on “home assignment” while the matter is reviewed. The story has been updated. SMH she should be fired and never allowed access to teach again. I hope Miller sues her and the school there is nothing left of them. It’s been a busy few weeks. My son got married Sunday. There were a few hundred wedding guests, one of whom flew in from the U.K. and wore his Scots kilt. The wedding party decided that the traditional rehearsal dinner provided by the groom’s parents should be at my house, cooked by me. Of the thirty dinner guests, several cannot have gluten or dairy, so I made chicken, black beans, and spanish rice, accompanied by tortilla chips, guacamole, and salsa. They got married in the line dancing night club where they met. The hum of the air conditioner was drowning out the pastor’s voice as he began the ceremony, so a nearly 7 foot tall bouncer took it upon himself to climb up a ladder out back to some crawl space and shut off the A.C. so people could hear. He told no one, but it came out in my conversation with him later. My son and daughter-in-law were regulars, and he liked them and wanted them to have a good experience. The bride and groom’s first dance was slow and romantic until the D.J. cut the music and said, “Enough with the mushy stuff – let’s party!”, and put on a snappy song with a beat, the groomsmen and bridesmaids joined them, and suddenly it felt like the climactic dance scene of the movie, “Footloose”. Bride and groom are both 23 years old, so they and their entourage were pretty energetic, and very practiced line dancers. It was fun to watch. At some point, an instructor taught us newbies three different dances (my son knows over 70!) and it was great fun doing it. They had registered on-line, and put my house as the delivery address. Eventually we had a mountain of Amazon delivery boxes in our living room and garage. They opened their gifts here on Monday, with parents and close family members present. Then I had to dispose of a mountain of empty cardboard boxes and bubble wrap, and help load gifts into a fleet of cars and SUVs for transport to their new apartment. One of my brothers flew 2000 miles to be here for the wedding; I hadn’t seen him in 10 years, and it was good to catch up. He stayed in our guest room and I took him to local tourist attractions and pier fishing. Between the two of us, our first cast landed five mackerel, since our rigs had 4 or 5 hooks each. Mackerel, rice, and spinach salad for dinner that night. I also took him to my karaoke place where he sang, “King of the Road” and “They Call the Wind Mariah”. He was utterly wowed when four of us regulars did Little Big Town’s, “Boondocks” in four part harmony. He had a great time, made to feel right at home by about a dozen of my karaoke friends. We closed the place, then had a late night snack at a local fast food chain that I love. He loved it, too. He’s back at his home now, the bride and groom are off on their honeymoon, and life is getting back to normal. Sounds like a wonderful wedding and a beautiful start to their new life! The line dancing and instructions sounds so joyful 🙂 . And cooking for 30 people sounds like a challenge. Our biggest family get together is about 25 people and we all bring things. Welcome back John! And congratulations on your son’s marriage and gaining a daughter! I saw this headline on Drudge. The link leads to an article in the Dallas Star, I use an ad blocker so I had to promise them my first born or something like that in order to read the article, I didn’t bother jumping through any hoops to read it. But the funny thing is I only went there to grab the headline. The article doesn’t matter. Not at all. All that matter is that $38 million dollars being taken out of the pockets of the democrats. And that Ted Cruz is going to trounce Beto O’Rourke. Remember we defeated the Soviet Union without launching a bomb into the Motherland. We defeated the Soviet Union by bankrupting it and causing it to collapse under the weight of its own impertinence and corruption. President Trump is doing the same thing to the democrats. Imagine where we would be if we added a Maggie Thatcher and Pope John Paul ll, to Team Trump. Instead we have Pope Francis and Angela Merkel, both who are enemies to their own people and oblivious of the importance of true freedom, oblivious of the importance of the ideal and reality of America. Merkel and Francis are both enemies of the United States and Freedom. (But that is not where I am going with this musing). President Trump is carrying the world on his back. May God bless his every step. Evening lovely! I’ll be glad when the election is over and I don’t have to see the Beto signs around town any longer.